Graphically the game excels as you would expect from Sega’s impressive 16-bit endeavors. It’s more crisp than Shinobi was not a year earlier, but doesn’t quite compete with the later System 16 titles or Capcom CP1 games. There are also some decent special effects with the layers of the foreground and background that seem to move, but it isn’t until the game gets ported to the Genesis that we see true parallax scrolling. Boss designs were weak in terms of gameplay – mostly because a majority moved little or not at all – but visually they were impressive in scope and design. The first boss in particular was stealing glances on the covers of magazines, infamous “Genesis does…” commercials, and of course Genesis console box art itself. Sound design wasn’t as impressive. While I commend the simple but effective score from Tohru Nakabayashi, it’s tub-thumping backbeat and curious off-level melodies don’t make good use of Yamaha’s impressive sound chip that gave us the distinct sound of other Sega classics. That said, Nakabayashi would return for work on Golden Axe, which does bear a striking resemblance to this title’s music, but with just enough layers and complication to seem like a drastic step up. Sounds, on the other hand, are great. The splattering of enemies, the howl of the creatures in beast mode, even the crisp voices that come from Zeus’ introduction are impressive for the time. The gameplay mechanics, graphics, and sound design are notable as starting points for developers that have long running careers, so I’m going to chock it up to the new hardware as to why this title isn’t more complex. 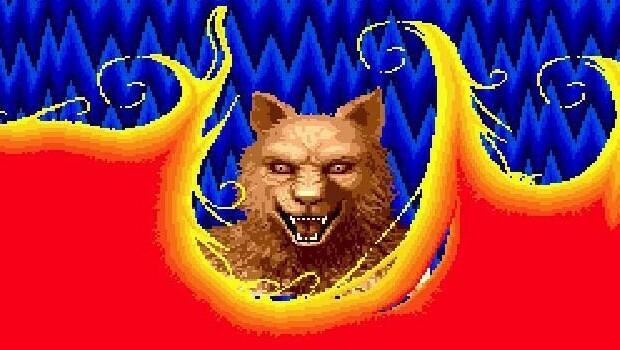 If nothing else, Altered Beast is a showpiece for what 16-bit was capable of. Altered Beast continues to get ports to modern platforms, which seems to confirm that audiences are willing to shell out for the game despite the fact that it doesn’t hold up. Perhaps I’m not so unique in my nostalgic connection to owning multiple copies of a game that even my wife doesn’t enjoy playing with me. Unless you have a strong longing to experience this title again, I feel the more appropriate and timeless example of this very same formula – and the very same staff as it would seem – you should look up Golden Axe. It takes all the concepts and lessons learned in Altered Beast and basically defines the 16-bit brawler genre for years to come. 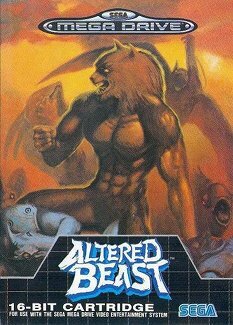 Altered Beast really only came home on Sega consoles in North America and Europe, which is why it’s so ingrained in those regions’ association with the Genesis/Mega Drive or Master System. 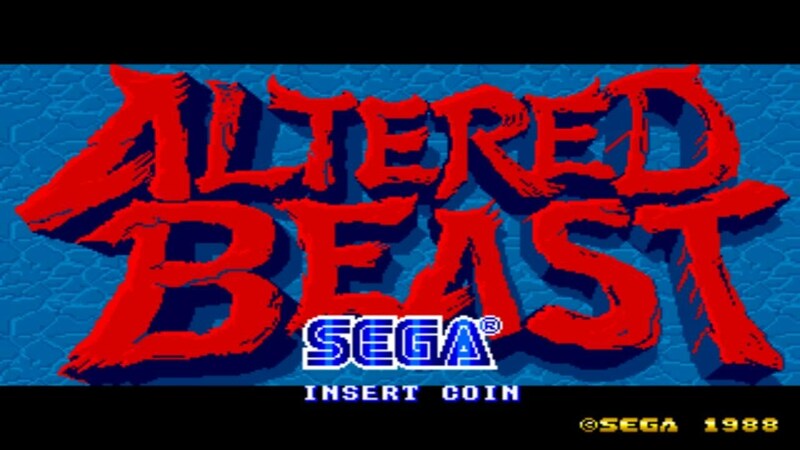 Of course if you know your Sega history, the Master System was all but dead in the water in North America so Altered Beast is basically viewed as a Genesis game. In Europe the Master System had a long life as the NES replacement in some regions so I’m guessing it’s a matter of preference as to whether or not you take your Altered Beast on Master System or Mega Drive. The Genesis version in particular is notable because it came so close to capturing the look, sound, and feel of the arcade game and kicked off this console’s messaging of being an at-home arcade console. Before Sonic came about and started taking on the SNES head-on, the idea was that you could get all your Sega arcade titles at home but ideally in a non-compromised version and that’s how Sega marketed it. 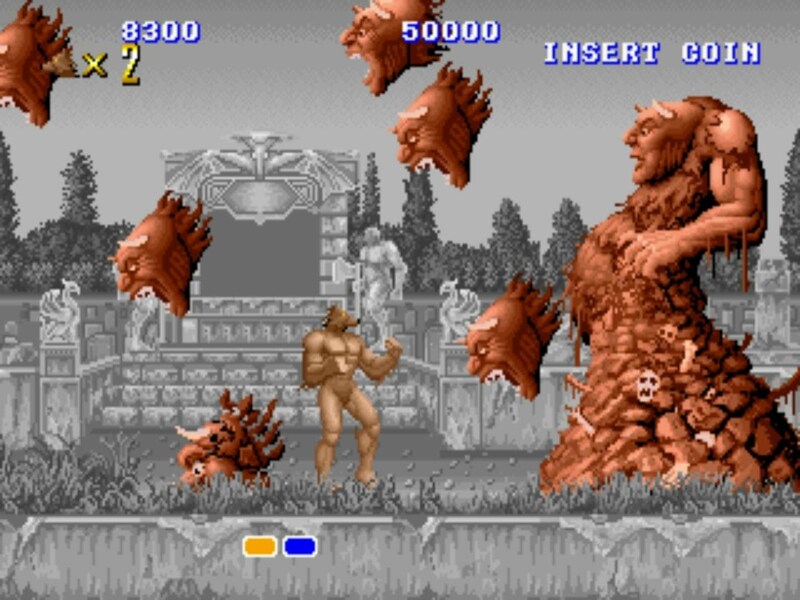 Altered Beast on Genesis was also considered a somewhat enhanced port because it integrated special effects like parallax scrolling, although it’s no surprise that reviewers and fans noted the downgrade in sprite quality as thinking the Genesis port inferior. In Japan, the diversity was more abundant. Aside from the Mega Drive version above NEC released a version to the PC-Engine (Turbografx-16 in North America) as well as the newly released PC-Engine CD, which was nearing a year of release but had few titles on it. It should be noted that neither of these ports came to North America on the Turbografx consoles, the title was better known there as Juoki (Beast King’s Chronicle as it was known in Japan), and it was only compatible with the original System 1.0 card for CDs that is a bit of a rarity. It’s all covered in much higher detail in our ChronCD first episode, but in short the PC-Engine version was quite a weak showing and was brutally difficult whereas the PC-Engine CD version didn’t improve on much aside from better sound and multiple difficulties. There was also a Famicom version (the Japanese NES) that was highly inferior to the game and derived somewhat from the Master System port but with more compromises. Given the commonality and massive quality jump, few seek out the Famicom port in Japan. Want to know more about the release info, ports, or re-releases? Check out our profile page!